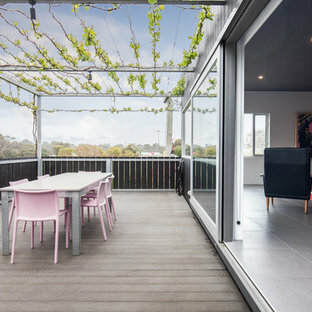 Decks are synonymous with Australian and New Zealand outdoor living. It’s out on your deck that you can read the Sunday paper, have a barbecue with neighbours or host a party – and come summer, Aussies and Kiwis swarm to them like mozzies to a bug zapper! 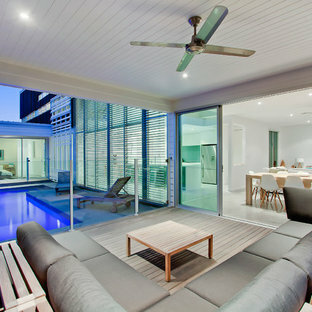 Decking is also a popular flooring choice for patios, pergolas and pool surrounds, as well as balconies and verandahs. 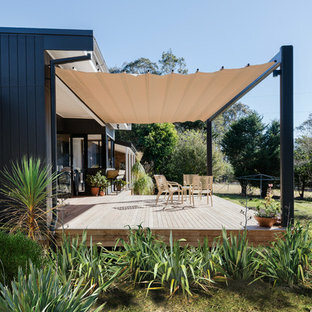 As an extension of your living space, outdoor decking needs to be ripe for relaxation, handle harsh weather and high foot traffic, and suit the style of your home, too. We are, however, spoilt for choice when it comes to decking options, especially regarding the choice of hardwood, which can make deciding on the right timber decking for your needs tough. 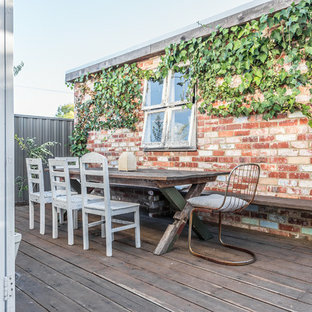 Before you start building a deck, browse Houzz photos for design inspiration and check out the Stories section for more ideas. 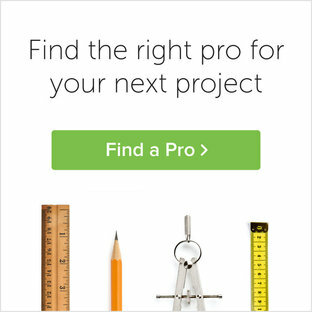 Once you're ready, you may want to hire a Landscape Architect or Gardener to help you complete your project. How do I determine my deck design? Decks can be customised to suit your home and landscape, so be open to a variety of designs. On this page, you’ll find the likes of balcony, verandah and patio decking, as well as breezeway decks, low-slung decks (barely raised off the ground) and master bedroom decks, just to name a few. If you have a contemporary home, you might prefer a mixed-materials deck with concrete stairs, for example, or rather a more simple party deck, complete with built-in seating and a barbecue. 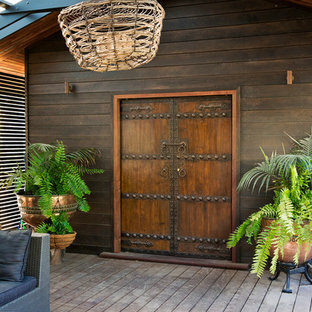 Decks can also wrap around garden features, like a feature tree, or curve through your garden. If you want to tame a slope in your backyard, a raised deck or platform deck can help with backyard access. It can be covered or left uncovered, but if choosing the latter option, try to add structure to the space with planting. 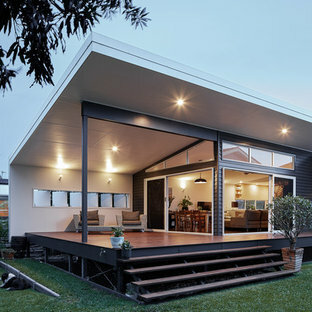 Multi-level decks are also great for sloping lots, and can help zone areas within your backyard. 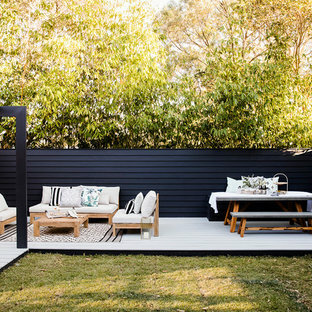 If you want to highlight or make more use of your backyard, consider a freestanding deck, which, complete with an outdoor dining set, seating, a gazebo or umbrella, can be used for entertaining or simply unwinding under the sun. Boardwalk decking is a great way to guide people through your yard, add structure and can help add a sense of design. What hardwood decking should I use? Price, appearance and overall maintenance will dictate your choice of hardwood decking. 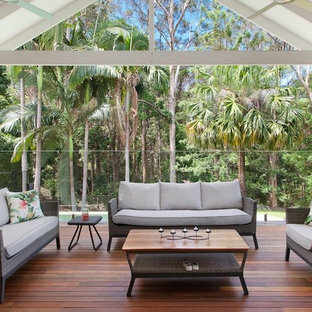 Spotted gum, teak, blackbutt, grey ironbark, jarrah and merbau are all popular hardwood varieties in Australia and New Zealand, while composite decking – a combination of wood and plastic – is becoming increasingly popular, too. Hardwood looks more natural, but does need to be stained and weatherproofed frequently. 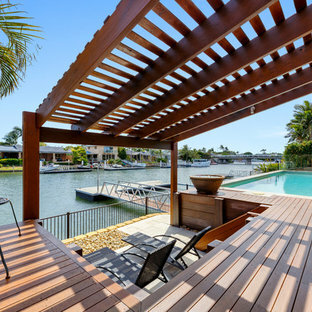 Spotted gum is one of the most attractive decking materials – it has a lovely grain and requires minimal staining. Teak is the best performing hardwood, but comes with a hefty price tag. If you’re after a red-coloured hardwood, consider merbau, which can handle the harsh Australian climate. Merbau decking will, however, leach tannins, so it’s best avoided near other light-coloured hardscapes. Composite decking is a more low-maintenance option than hardwood decking, as it doesn’t require resealing. It’s also more environmentally friendly: it won’t fade, rot or warp with time, meaning you can maintain the same deck for longer. If you live in a fire-prone area, it’s also less of a hazard.